After spending time and money on re cycling the water used in their glass production facility in Essex, Essex Safety Glass then looked at reducing their escalating costs for mains water. 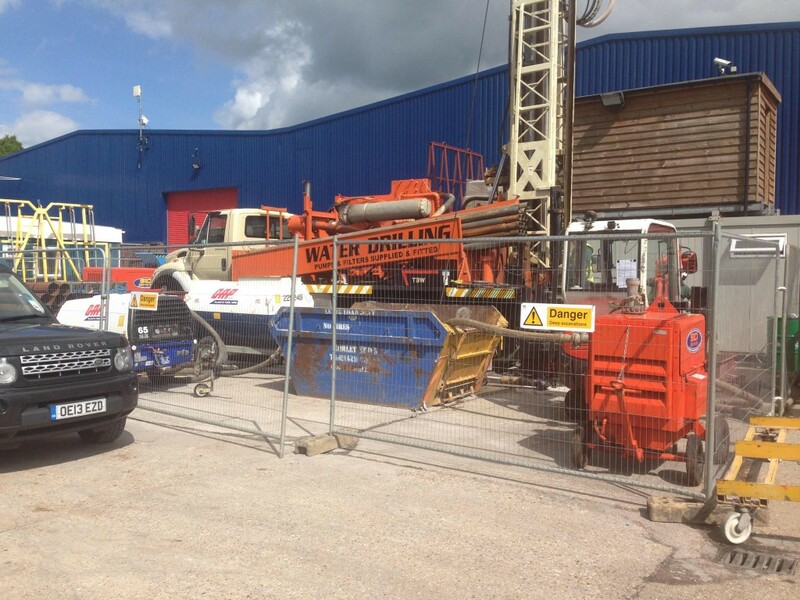 WSWDS were drafted in to advise them on a Borehole solution. Firstly we provided them with a detailed cost analysis proving a payback of 12months. Then we carried out a feasibility study of the Geology and Hydrology to see if underlying geology/aquifer would yield the amount of good quality water that was required by the facility. Based on the feasibility report WSWDS were then commission to drill a Borehole through the riverbed terraces, London Clay and into the Chalk water bearing strata. The first River bed terrace at 20m was cased off and back grouted allowing us to drill on through the London Clay and Thanet sands to 95m again this was cased & grouted of to allow us to progress through the Chalk. Final depth of the Borehole was 140m and yielded considerable amounts of good quality water.